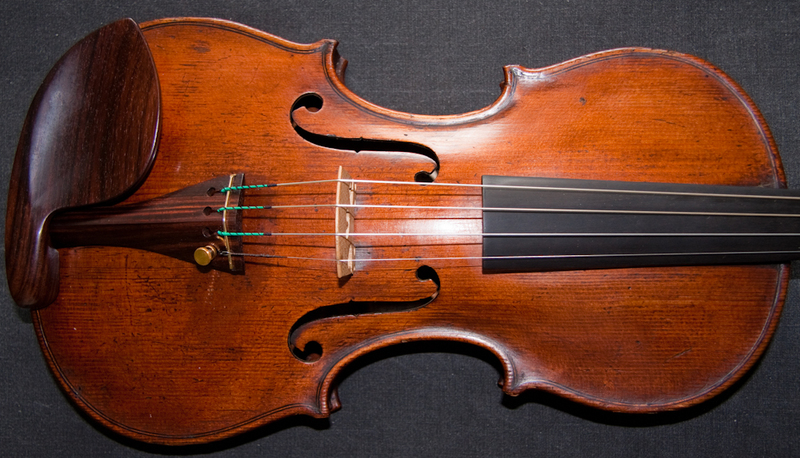 Magnificent violin with a wonderful, powerful and yet silky sound, labelled Laurentius Storioni fecit Cremona 1771. The choice of wood for this instrument is excellent and together with the way that it has been put together immediately cries out ‘Quality’. 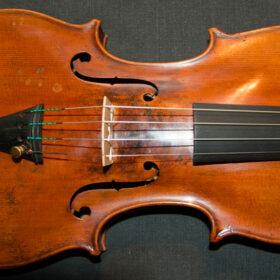 SKU: 00033 Categories: Specials, Violins, Italian Collection, 18th Century. 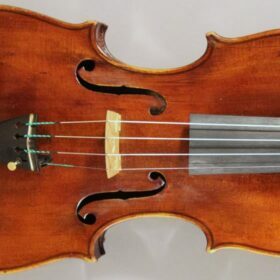 Tags: 18th Century, antique violin, Cremonese, italian, violin. 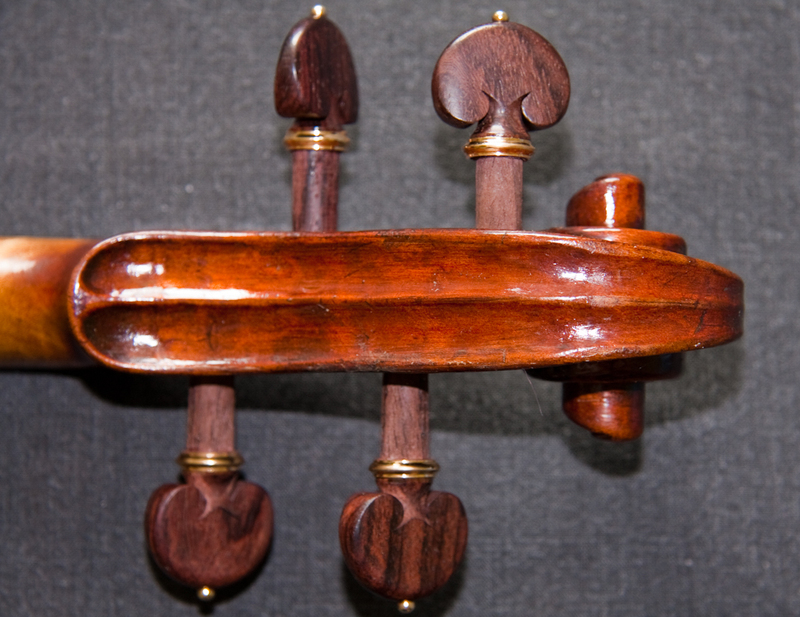 The choice of wood for this instrument is excellent and together with the way that it has been put together immediately cries out ‘Quality’. A very interesting feature is the one piece spruce top. The maple for the back is strikingly figured, with matching wood being used for the ribs and neck. 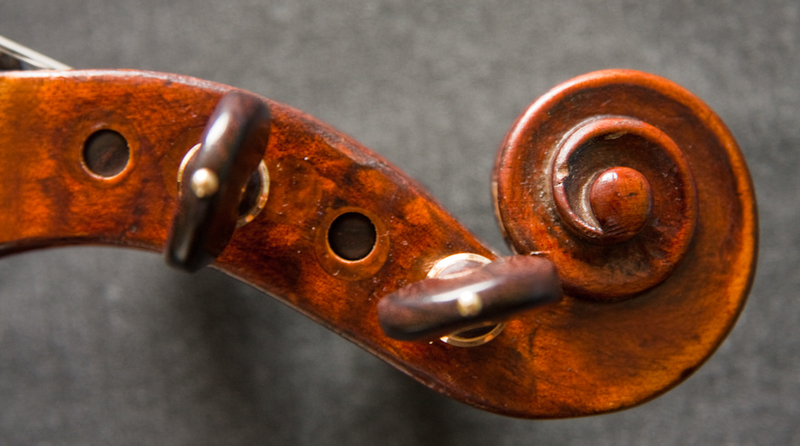 The scroll is beautifully carved with characteristics typical of Laurenzo Storioni; who is widely regarded as the last of the classic Cremonese makers, and the most influential and active of the post-Golden Age of violinmakers. Storioni rescued the Cremonese traditions from totally disappearing in the aftermath of the loss of Antonio Stradivari, Guarneri del Gesu and Carlo Bergonzi within a single decade. 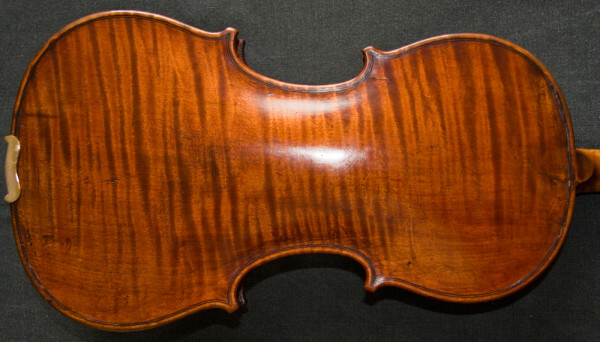 Born in the year of Guarneri del Gesu’s death, 1744, his probable tutor was Carlo Rugeri, grandson of Francesco. 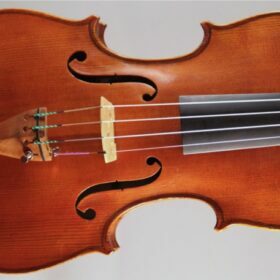 The quality of construction and choice of high grade tone woods come through as soon as you put a bow to the strings of this violin. It takes little effort to draw a wonderful sound, which is beautiful, powerful and yet has this wondrous silky quality to it. 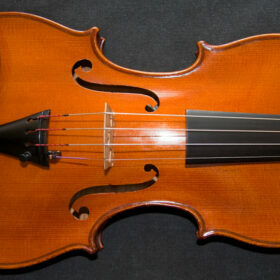 This violin is pure pleasure to play and leaves you eager for more.